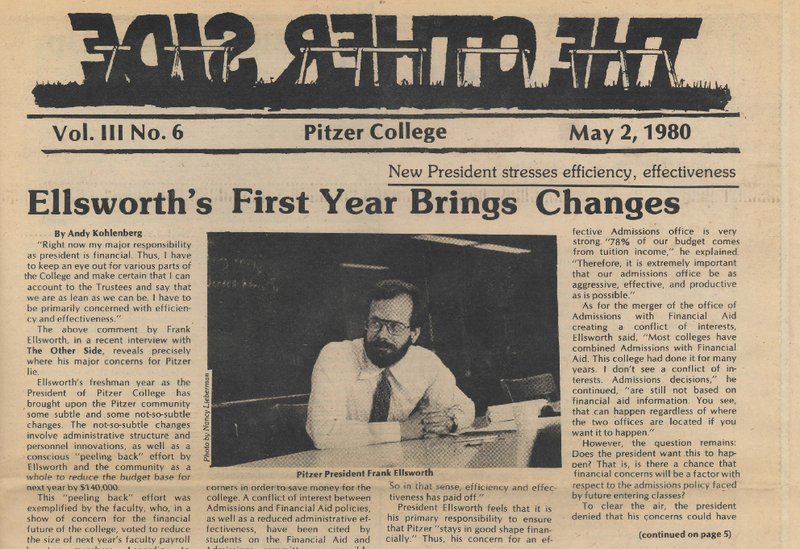 Over the past 52 years, Pitzer College has established itself as a unique institution because of the emphasis it places on community governance and student voice. Perhaps the most important aspect of the governance structure at Pitzer is that power is shared amongst members of the student body, faculty, and staff. The array of standing committees and governing organizations which exist at the College has long been composed of a mixture of these different constituencies, based on a model that promotes working together in a democratic and collaborative fashion. The following timeline is part of an independent study project created by a group of six students. Each of the moments captured by this timeline represent an important development in the process of “shared governance”—a process which has helped to shape Pitzer College Student Senate into the organization which exists today. 1963: Pitzer College encouraged students to develop both independence and a sense of responsibility by delegating to them the management of many of their own affairs. Provisions for an active Student Government were to be made. On September 9th, Pitzer holds its second Town Hall Meeting: 3 administrators, 38 faculty members, and 75 students were present. 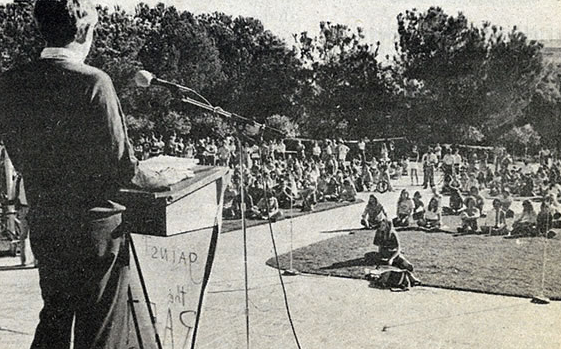 1965: In May of this year, a formalized Community Government Plan was officially adopted by a ballot vote of the entire Pitzer College community. 1968: President Atherton created an ad hoc committee on co-education to present a proposal to the Board of Trustees that Pitzer College should become co-educational. The committee is composed of 2 trustees, 2 faculty members, and 2 students. 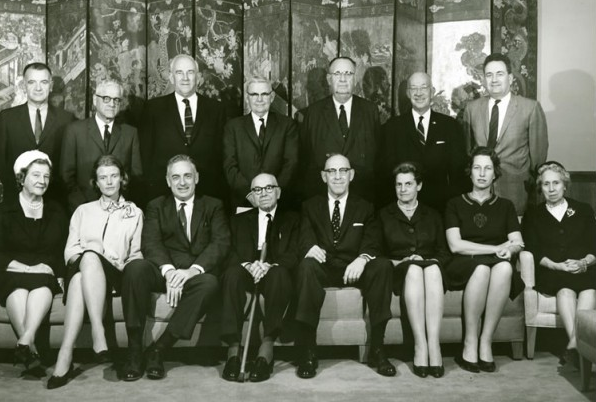 This committee was formed on November 12, 1968, and met for first time on December 4, 1968. 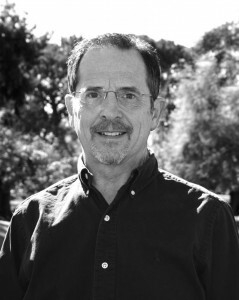 President Atherton urges members of the Pitzer Community to attend a special Town Hall Meeting on November 14th, where community members approve the following resolution: “Be it resolved that Pitzer College shall admit male students on the same basis as female students as soon as practicable.” 130 voted in favor and 87 opposed the resolution. 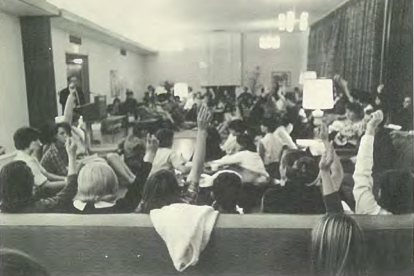 1970: During an annual meeting held on May 13th, the Board of Trustees voted to accept the resolution to enact a co-educational enrollment plan that would allow for the gradual enrollment of men. During the 1970s, a movement to give students more power arose, but there was also severe student apathy that was constantly discussed. 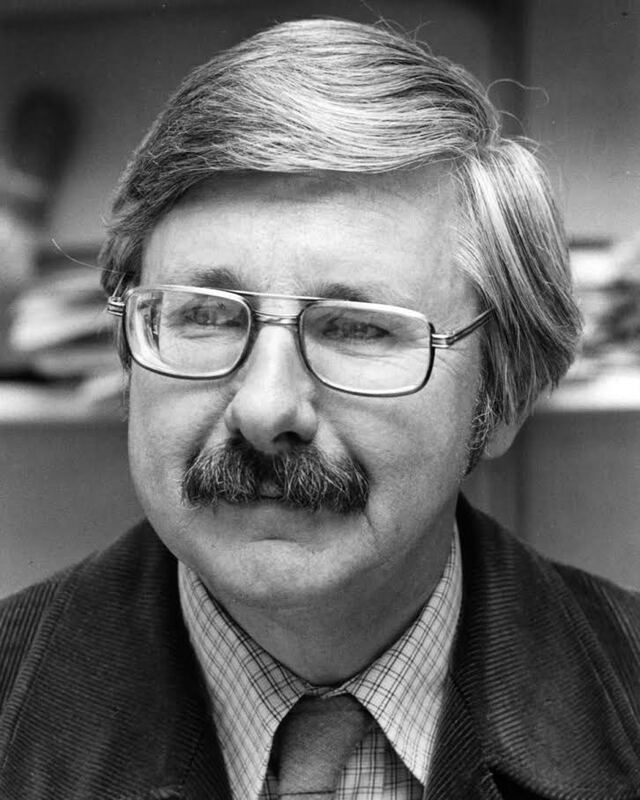 1971: Al Schwartz was appointed Dean of Faculty on September 1st, after being selected by Faculty Executive Committee. 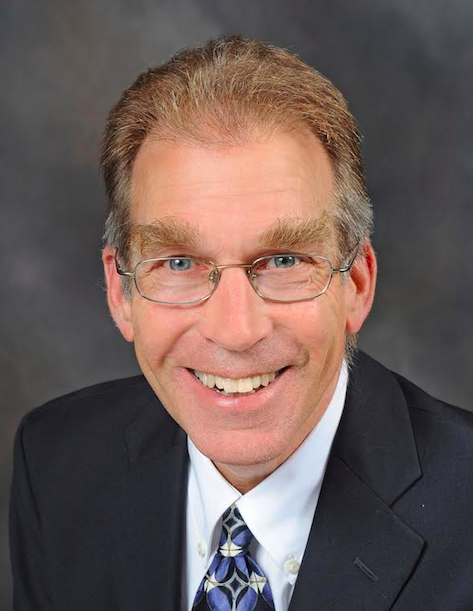 The Executive Committee of the Board of Trustees “enthusiastically” approved. 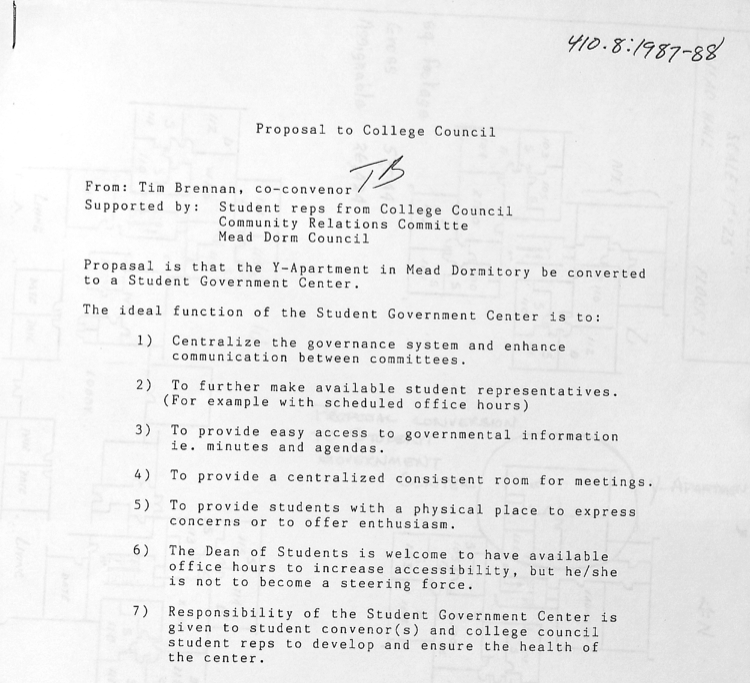 1972: The Student Appointments Committee was created to appoint students onto committees, instead of the College Council. This new committee separated students from faculty in the governance structure. The Student Appointments Committee served its first year, consisting of eleven members: Dean of Students, Dean of Faculty, two faculty members, and seven students elected by the student body. 1976: In November, members of the faculty and the Board of Trustees held a 3-day retreat in the Palm Springs and Indio area. The Freshman Year, especially freshman academic programs. The balance of academic programs offered for graduation between the liberal arts and work taken in the student’s field of concentration. 1978: The Community Relations Committee was created to give students power over the funding of events and projects at Pitzer College. TRUSTEES: The trustees are appointed by the Chairman of the Board in consultation with the full Board and will include at least one graduate of Pitzer College. FACULTY: The faculty members will be either elected by written ballot by the voting members of the faculty or appointed by the President on recommendation of the FEC. 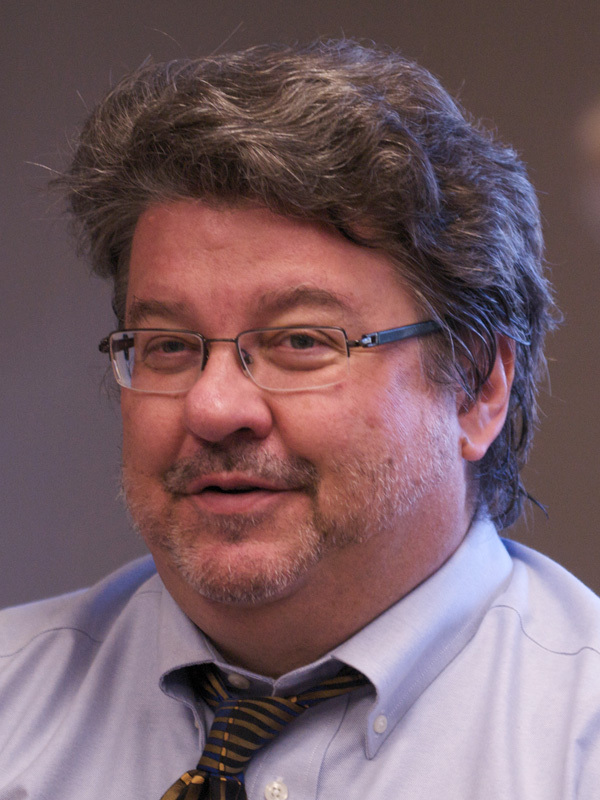 The FEC or the faculty may determine which of these alternative selection processes is used. If the former (election) procedure is used, the faculty will elect 6 persons from whom the President, in consultation with the FEC, will choose 3 plus an alternate. STUDENTS: The student voting members of the faculty will elect (by written ballot) 6 students from whom the President in consultation with the Student Appointments Committee will select 3 plus an alternate. The students elected need not themselves be student voting members of the faculty meeting. 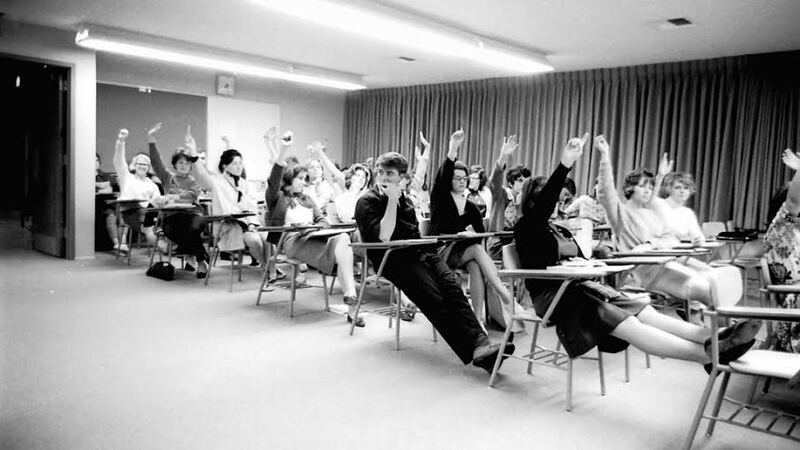 1980: The position of Student Convener is created to represent students of Pitzer College at meetings between the student body presidents of the Claremont Colleges. 1983: From an issue of The Other Side: WASC suggests that the governance system changes substantially to a more centralized system rather than its practiced expansive model. 1988: The Student Direct Action Committee was created by students who believed the governance power at Pitzer College should be concentrated at the “Town Hall Meetings”. Public art became an important topic at the College. The construction project that included the Broad Center, Broad Hall, and the Gold Student Center featured student representatives on the planning committee. 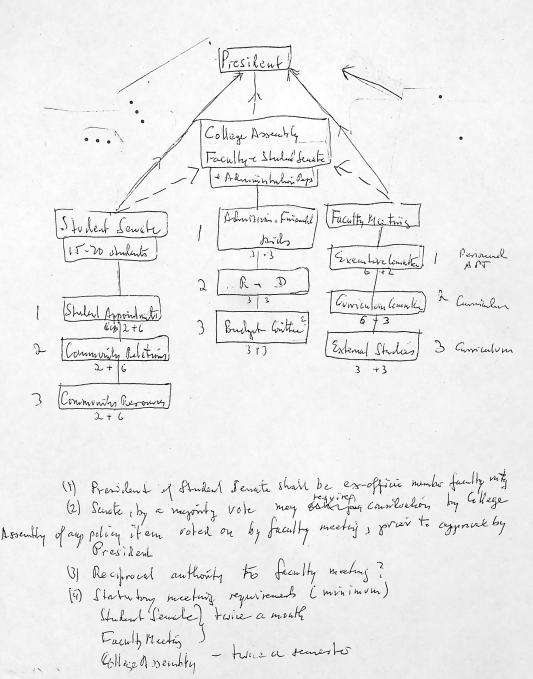 1990: The new governance structure at the college included a Faculty Council, Staff Council, and Student Senate. Marilyn Massey is inaugurated as President. Following the resignation of Frank Ellsberg, the Board of Trustees created a Presidential Search Committee composed of six trustees, two faculty, the Dean of Faculty, and one student. 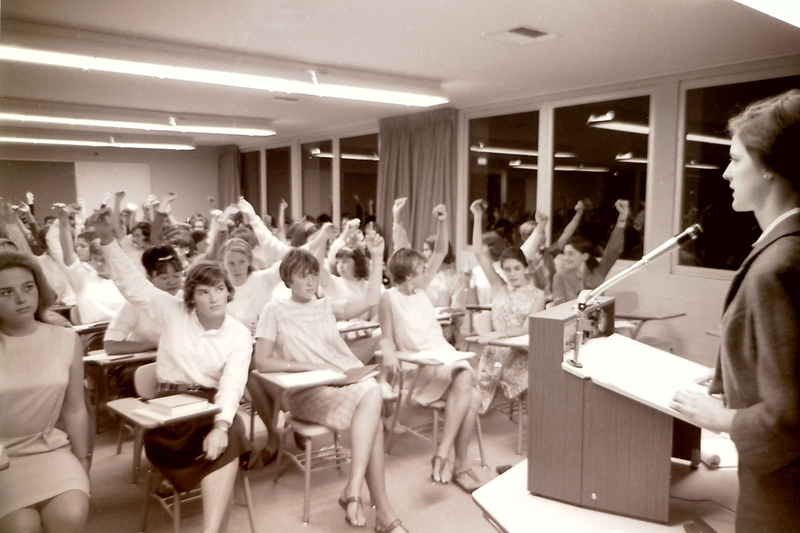 The Pitzer College Student Senate was created (Fall 1990). Presidential Search Committee members met with the college community to devise the standards they would use in determining qualified candidates. With comments from students, staff, faculty and trustees, the committee came up with specifications of the ideal Pitzer presidential candidate. 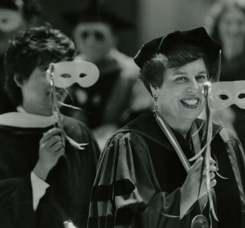 1992: Marilyn Chapin Massey is appointed as the fourth President of Pitzer College and served until 2002. 1995: The Public Art Committee was created to regulate art on campus, later changed to the Campus Aesthetics Committee. An ad hoc meeting changed the rules of the Executive Committee of the Faculty to limit student voice on faculty cases at College Council meetings. 2012: Students defended their one seat majority on the Campus Life Committee.